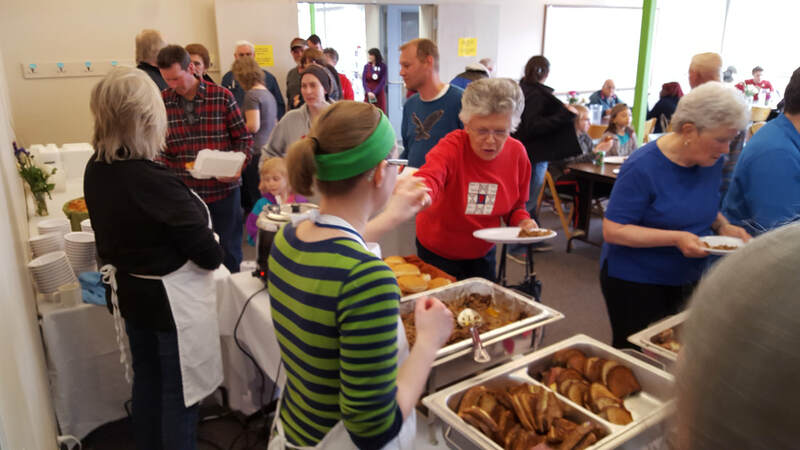 Mark Your Calendars: April 6 will be the only Saturday Community Meal this month. Fighting Poverty. ending hunger. locally. 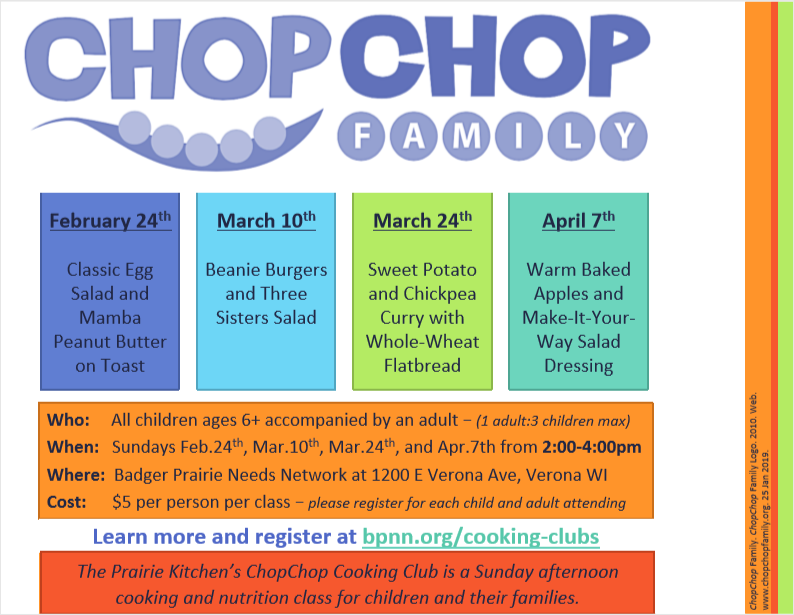 BPNN operates one of the busiest food pantries in Dane County, Wisconsin. More than a food pantry, we also offer free community meals, nutrition education for seniors and children, hands-on cooking classes in our Prairie Kitchen, a community garden, and legal advocacy to fight homelessness and level the playing field for people without financial resources. We are 100% volunteer - all funds raised go toward our mission and keeping the lights on. ​Join our team by registering as a group or individual. Learn more about us in our annual report. BPNN has schedule updates for the holiday season. Please call first if you are unsure. Join us for one of our upcoming free Community Meals held the 1st and 3rd Saturday of each month. ​Lunch is served from 11:30a - 12:45p. Sugar River United Methodist Church volunteers mend clothing during the 1st Saturday meal of every month. Invest Wisely. BPNN has earned the 2018 GuideStar Platinum Seal of Transparency, showcasing the progress and results we’re making toward our mission! Check out our GuideStar profile. 1. Local temperature is -25 degrees F or colder. 2. Wind Chills make temperature feel like -25 degrees F or colder. 3. Public safety officials request that we stay off of local roads due to hazardous driving conditions. Please see our bad weather policy. BPNN's Birthday Club aims to help make birthdays special by providing a gift and celebration kit for each Patron’s child from ages 1-18. We could use donations of gifts, cake mix, wrapping supplies, candles and other birthday items to help make a child's day extra special. or contact Kellie Covert at bpnn.birthdayclub@gmail.com for more information. BPNN's popular Flags-4-Food program is now accepting subscriptions for 2019. 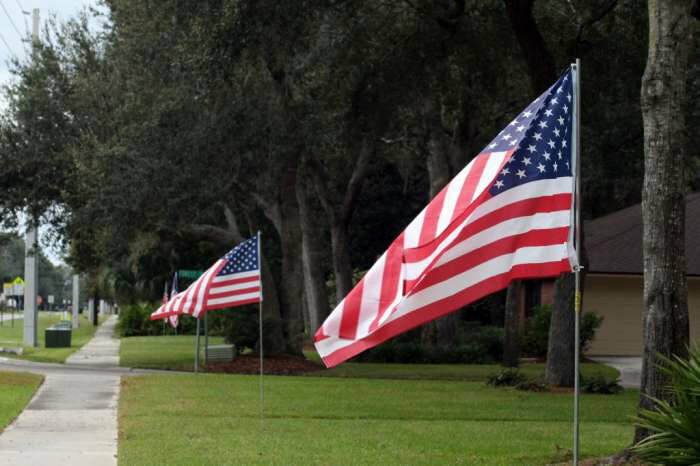 For just $50, we will install a beautiful American flag in your front yard on these four holidays: Memorial Day, July 4th, Labor Day, and Veteran's Day. No matter when you subscribe, you'll get a flag on the next 4 holidays!